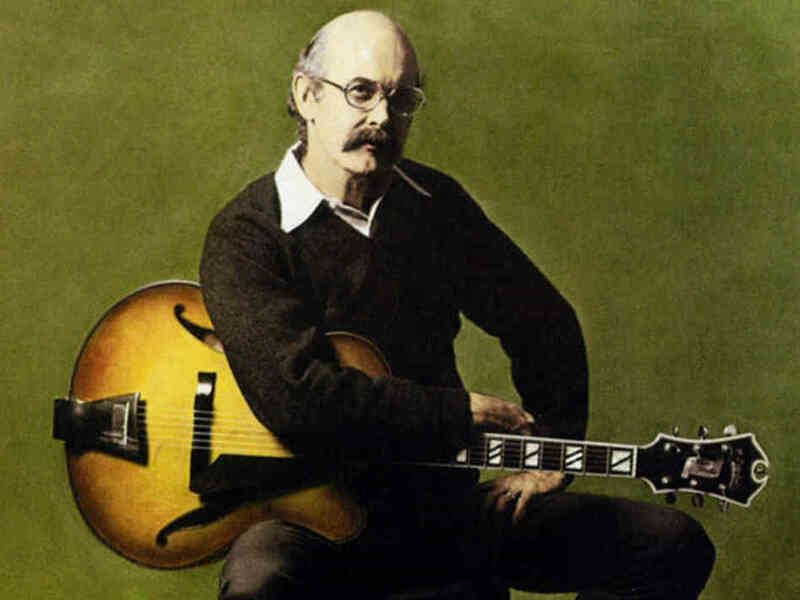 Jim Hall didn't play like everybody else. In the relatively short history of the Jazz guitar he was a true original. If that sounds like a cliché, it was, nonetheless, true. He approached the instrument with an understated sophistication that was unique for its time—and still is. When every other guitarist in a post Charlie Christian, Charlie Parker world sought to adapt the legato attack and ferocious tempos of Modern jazz to the guitar, Hall went in the other direction. Like Miles Davis, Lester Young and Paul Desmond (a frequent collaborator) melodic variation and harmonic refinement were the essence of his playing. Hall possessed a sense of adventure that made his solos seem fresh, as though they were being invented at the moment, and in large part they were. His subtle radicalism was, like Bill Evan’s piano, centered on harmonic coloration and invention instead of the usual scalar be-bop-isms that became typical of the music, particularly among guitarists. In the early stages of his career he developed a reputation as a significant stylist during his tenure with The Jimmy Giuffre trio and Art Farmer's band. In one of the most demanding gigs for any guitarist, Hall joined Sonny Rollins' comeback group following Sonny's much publicized sabbatical from the jazz scene. He became an integral part of one of Rollins' greatest records “The Bridge.” Both men took some heat for having a musician in the band with the wrong pigmentation, with most of the blow-back coming from musicians of "Color" who thought Sonny should keep it pure. Thankfully, Rollins stuck by his decision, even if it was for only one record. It's remarkable how much things can change in fifty years, but still remain the same. 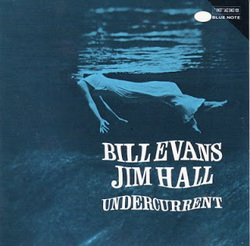 Hall was a perfect foil for Sonny's extended improvisations and re-harmonization. His unique chord-voicing and subtlety opened up the sound of the band, leaving plenty of room for Rollins to play, unimpeded by the more orchestral nature of the piano. Gerry Mulligan used a piano-less trio at about the same time for similar reasons. Either way, the band is preserved on record and film, a rarity for the period. You can watch, as well as listen to, Hall’s unhurried approach when negotiating the complex changes taken at tempos that would intimidate the hell out of most musicians. It's hard to imagine that he wasn't awed by it all. If he was, he appears to have dealt with it with a Zen-like cool. He simply took his time and chose not to give in to the impulse to play in a way that was more about dexterity than creativity. In doing so, he pointed the way for succeeding generations of guitarists uninterested in cutting heads as a primary method of musical communication. Hall's playing gave birth to a whole school of players that used his approach as a template. Pat Metheny and John Abercrombie were just two of his better-known disciples. Remarkably, he stayed in the vanguard of jazz for some sixty years, remaining relevant as a player even as styles changed and gave way to supersaturated displays of virtuosity. He was, perhaps, the last of the greatest generation of jazz guitarists, which included Wes Montgomery, Tal Farlow, Joe Pass, Barney Kessel, Chuck Wayne and too many others to list without a much, much longer article. Only Kenny Burrell, I believe, remains active, still gigging and teaching at the university level. Thankfully, there is a wealth of recordings and videotaped material to keep his music alive. His many acolytes remain as well, preaching his gospel of humor, subtlety and intelligence, traits that are rare among the six-string brethren. They are, however, abundant in his work. You could spend a lifetime absorbing his lessons and I have little doubt that will be the case for future generations to come. And, in the end, I'm not sure any musician could ask for more.